*Not recommend for small bra sizes. Only 34C and above. Padded bra underneath can be worn. Please see below note. 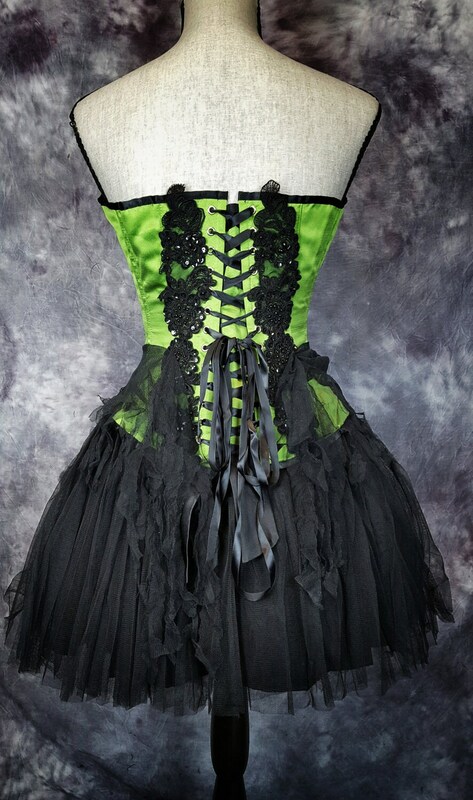 This is just an amazing corset!!! I can't say enough good things about it, it is absolutely beautifully crafted! 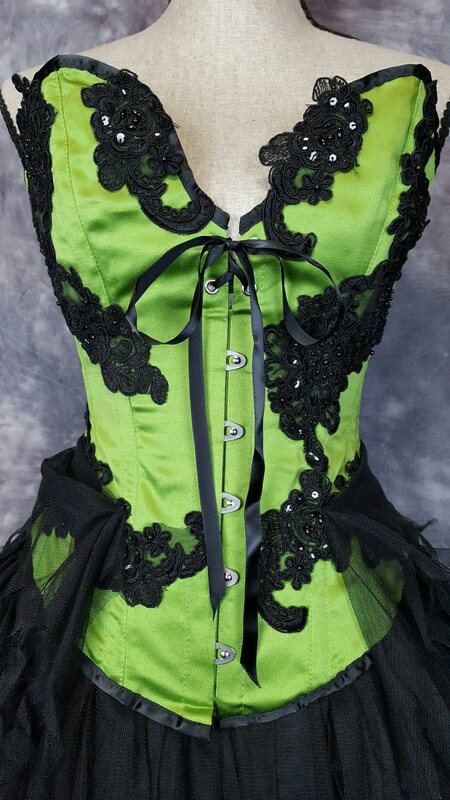 Beautiful, candy apple green satin color with gorgeous black lace and beaded detail. Steel boned construction with beautiful detailed beading all through out the bodice. Strong lace up ties found in the back to give you that perfect fit! The corset is meant to be slightly open on top and popping away from the body. It is more of an avante garde type of structural look. Women with larger bust sizes may feel more comfortable in this style. Though if you're smaller chested, you can also wear a padded bra underneath. There is a back modesty panel, so a bra strap would be hidden from behind. 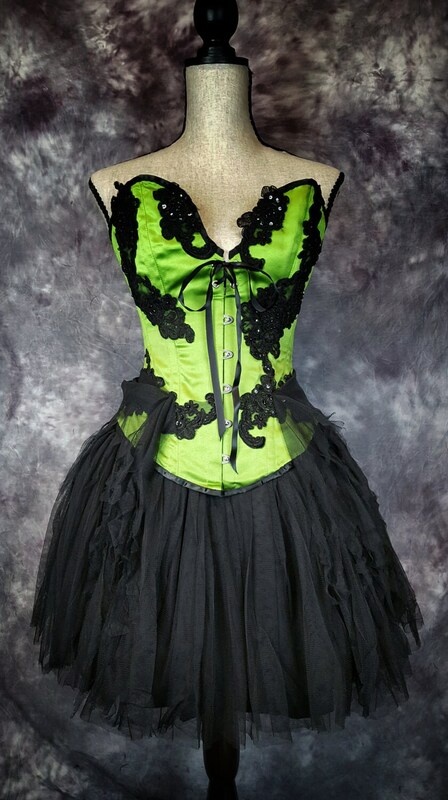 This corset top is meant to convey a more artistic representation of corset, not so much a 'traditional' corset style. 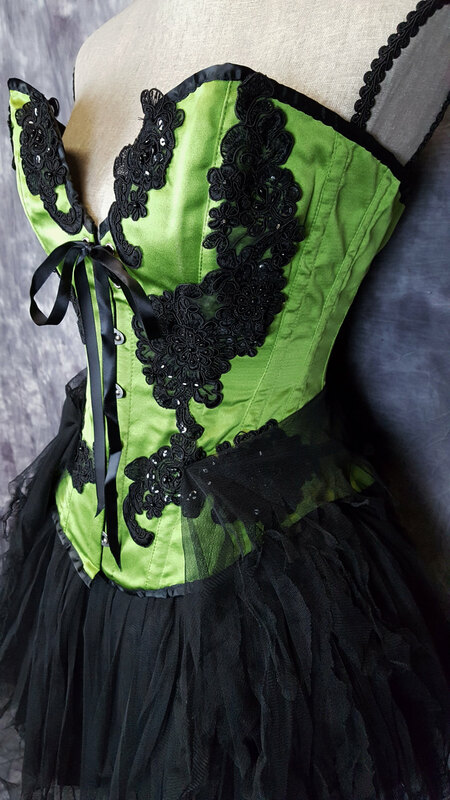 It is a fantastic steampunk corset top. Very well made and sturdy. It will last you a very long time with proper care. Copyright © 2017 by Olga Degtjarewsky. All rights reserved.